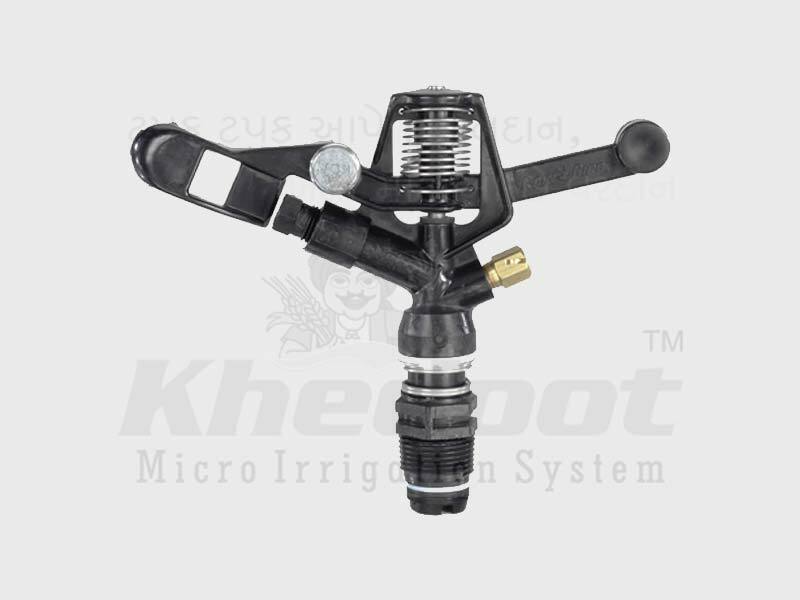 Plastic Nozzle, Drip Irrigation System, Drip Lateral, Inline Dripper and Emitting Pipe Supplier & Distributor in Rajkot (Gujarat), India. Uniformity of water distribution very high even in windy conditions. Long Life Product made of high Quality engineering Plastic. Designed to ensure no damage to crop. Arm, Body, Nozzles & Bearing of Derlin Material for Long Life. 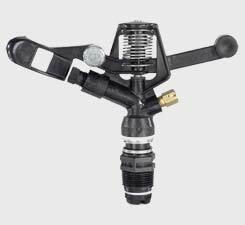 Lockable Design of nozzles for cleaning the sprinkler. Stainless Steel Pin & Spring. Agriculture, Horticulture, Golf course, Wheat & Vegetables etc. Ideal for most solid set Portable application.